ACD Distribution Newsline: Upcoming Releases from Ultra Pro! PRO 100+ Deck Box to store and protect your valuable decks. Holds up to 100 standard size gaming cards double sleeved in Ultra PRO Deck Protector sleeves. Made with archival-safe, non-PVC rigid polypropylene material. Each box comes with 1 bonus deck divider. Standard sized Ultra Pro play mat. Soft fabric top protects your gaming cards during tabletop game play. Also perfect as an over sized mouse pad for your computer and laptop workstation. Non-slip rubber backing prevents the mat from shifting during use. Fine Art Series Deck Protector sleeves featuring a classic masterpieces. 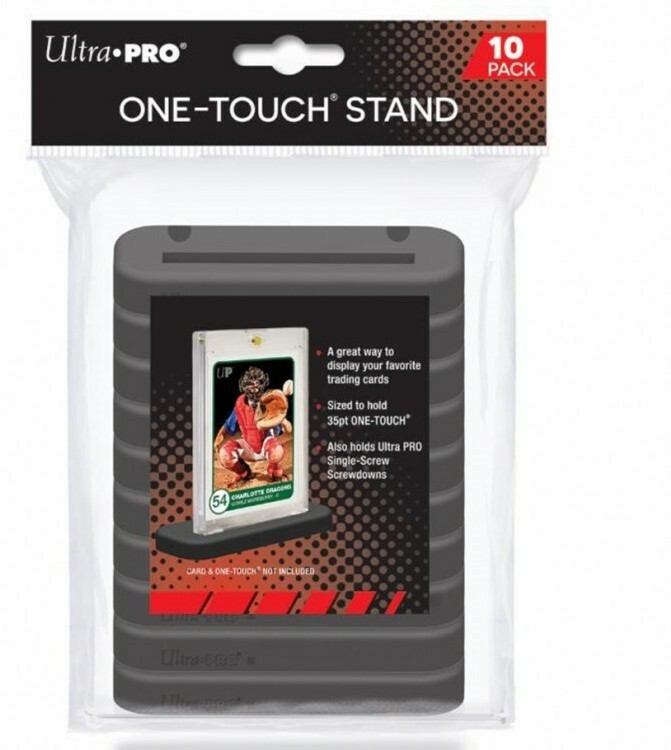 Ultra PRO's Deck Protector sleeves are designed to protect you trading card game cards from damage during game play. They are sized to fit standard (Magic) size gaming cards and made with archival-safe polypropylene film. Each pack contains 65 sleeves with full color printed artwork on dual-layer film. The ONE-TOUCH Stand is a great way to display your favorite trading cards in 35pt ONE-TOUCH Magnetic Holders. They are sized to hold Ultra PRO 35pt ONE-TOUCH and Ultra PRO Single-Screw Screwdown. The all black base is designed to hold your favorite collectible card in place at a slight angle for superior presentation. 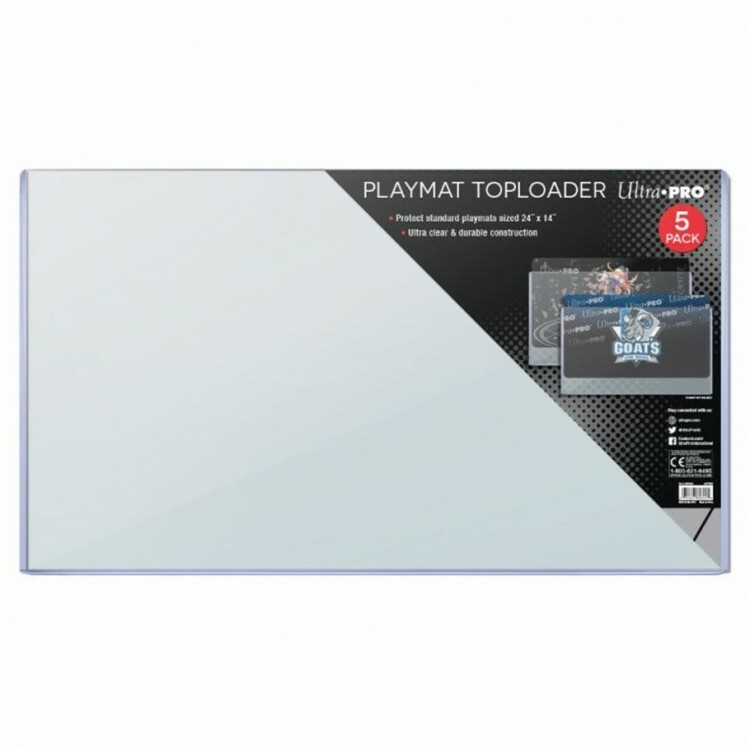 Store and protect your favorite playmats with the new 24" x 14" Toploader. Keeps dust and dirt out while protecting your one of a kind playmat. Keeps playmats and other collectibles clean, recyclable. Designed to easily slide your playmat into the toploader through the opening on the long side. 5 Toploaders per pack.